Less than 48 hours after earning an at-large bid to the National Invitation Tournament, USD’s season came to an end with a loss to Memphis on Tuesday evening. 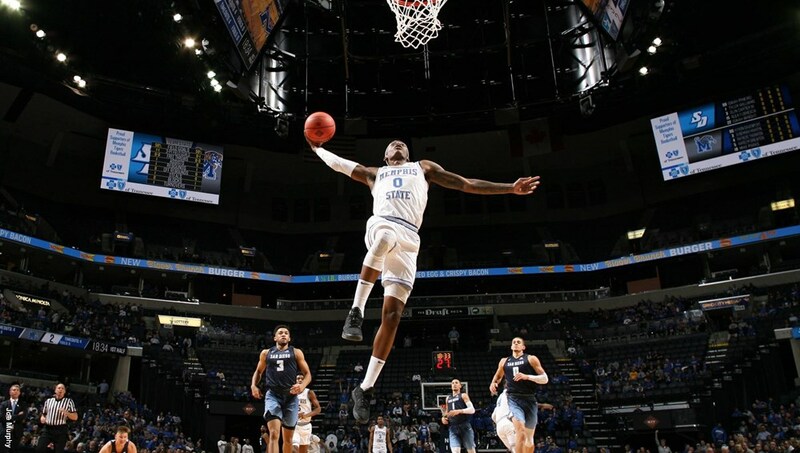 The Toreros (21-15) lost to the Tigers (22-13), 74-60, in the first round of the NIT in Memphis, Tennessee. USD committed a season-high 22 turnovers and was held to a 36.7 percent shooting. The Tigers were up 37-30 at the end of the first half and made eight of their first 10 shots to start the second half. An 11-point rally by the Toreros knocked the lead down to seven points, 62-55, with 7:18 to play. Olin Carter III made all three of his 3-pointers during that run. That was the closest USD would get in the second half, where Memphis was shooting 60 percent from the field. The Tigers sealed the deal with a 12-5 run. Trouble started early for the Toreros, USD quickly fell behind by 14 points by the middle of the first half and didn’t score a basket from the field for a seven-minute stretch. USD got some momentum going with an 18-5 run that ended with a 3-pointer by Tyler Williams to bring it to within one point, 29-28, with three minutes left in the half. The Tigers responded with an 8-2 run to close out the half with a seven-point lead. Carter III led the Toreros with 17 points — all in the second half — making five of his seven 3-point attempts. Williams added 11 points and was 3-for-4 with 3-pointers. USD ended the season with its second consecutive 20-win season. It’s the first time the Toreros had a back-to-back 20-win season since becoming a Division I program in 1979.